My name is Chris Billingham. I have over 20 years hands on experience of the local property market. Since 1996 I have been buying & letting properties in Swansea & Port Talbot. I am a member of the National Landlords Association (NLA), Residential Landlords Association (RLA) & the Rent Smart Wales Scheme. 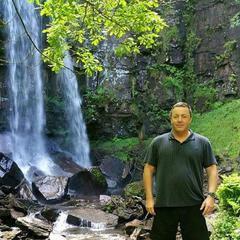 Chris at Melincourt Waterfalls, Neath.